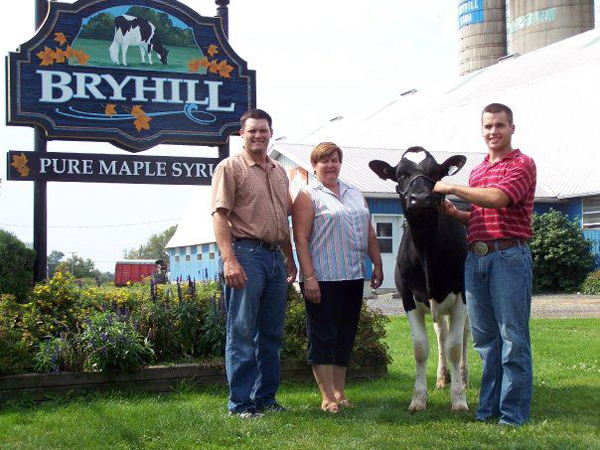 The Bryson family of Ormstown, Quebec are following their dream of growing Bryhill International Genetics into a leading dairy breeding operation. Of course, expanding a farm and growing a family business can be both rewarding and challenging at the same time. Matthew and David Bryson take a moment to look back and consider how far they have come. “The past 6 years have led us to change our breeding philosophy completely, while gearing up for a large commercial dairy environment.” As the Brysons share how they made the necessary changes, Bullvine readers have a perfect opportunity to look at 10 big steps taken by Bryhill International Genetics as they follow their dream. The principle of building on the foundation of a great team is the basis of success for sports and business. The team members at Bryhill are Lynn, David, Stacey, Matt, and Sarah. Jason Bryson, a cousin, is also a very important employee involved throughout the farm activities and specifically the nursery where the new calves and high end genetics get their start. A brother, Alan, helps analyze breeding decisions and investments for future genetic orientations. It takes commitment and a shared vision for the future. 2. LEADING EDGE IDEA. Make it Work. David and Matt Bryson describe the motivation behind Bryhill International Genetics. As a founding member of Trans America Genetics, “B.I.G. was used to set focus and aim at identifying, acquiring and merchandising breed leading genetics with a specific focus in mind. 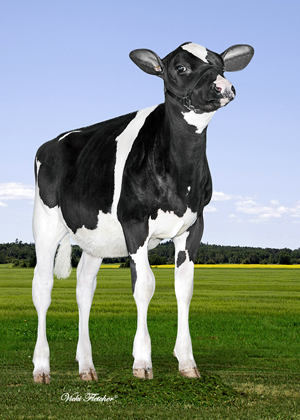 The move to a large freestall, the need to adapt to the changing technology (genomics) and the need to be more efficient, means that every decision we have made has led to aggressive moves so as to be better positioned for the future in order to have a business that would move easily into the next generation.” A successful, sustainable family dairy business. 3. FAMILY MATTERS. That’s Where We’re Going. 4. GROWTH IS A GIVEN. Build More. 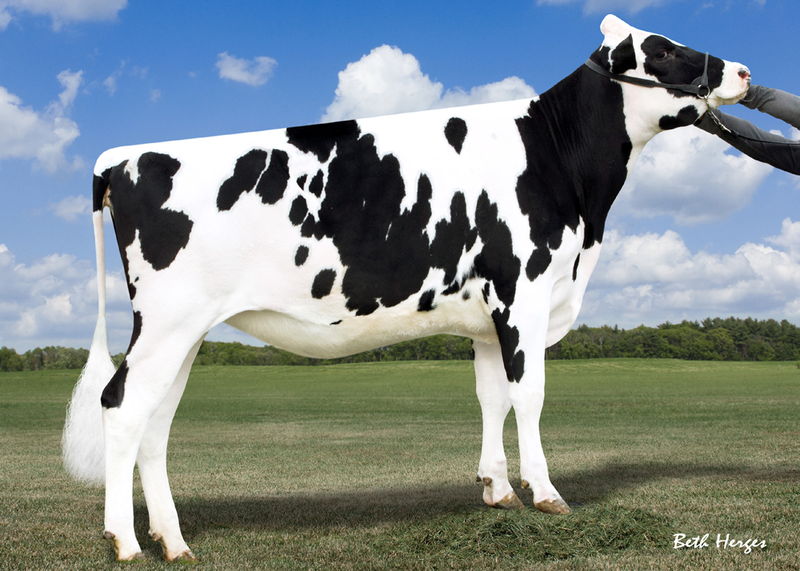 The number one GTPI polled heifer of the breed, Bryhill One Sassy P. Potentially the best heifer ever bred at BIG. 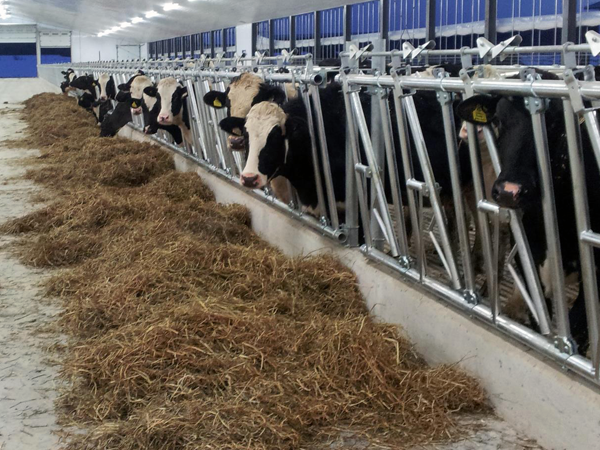 Growing a successful dairy business always boils down to the cows that produce the milk, the genetics, the buyer interest and the bottom line financial success. The Brysons share which families they have introduced, “The cow families that we are working with are Sizzle P, Planet Lucia, Chart Topper, Shottle May, Converse Judy, Allen Dragonfly, Brocade, Baxter Carmel, Cosmopolitan, Adeen, and Dreary.” Here too there is a great deal of thought that has gone into the selections. “These are all cow families that have proven their abilities to make extremes. Breed changers we like to call them.” BIG changers!! 7. GENOMICS. Go for it NOW. 8. GENOMICS. The Game Changer. When you want to know what makes the BIG difference, it really is clear what is working for the Bryson family and Bryhill International Genetics. They take many small steps consistently and persistently. They are following their dream and obviously are ready to make a mountain out of Bryhill. That’s the B.I.G. difference.